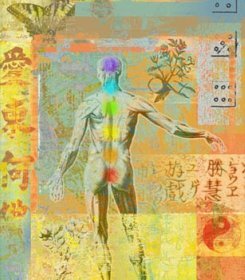 Energy Healing: How Non-physical Energies Create Health. Energy Healing: How non-physical energies can create health and well being. Energy Healing recognizes the role that non-physical energies can play in creating health and well being. Energy healing techniques are most often associated with the hands on healer approach. The palms of the hands seem to be well suited for directing the life force energies once these have been concentrated and focused in the body of the healer. Aids or tools, such as crystals or tuning forks, are also used quite often to enhance the effect of the healer's energy field upon the energy field of the client. It is important to note that healing life force energies are associated with the Love vibration. It is the higher vibrations of Love energy, which consist of Light, that actually bring about the healing process by promoting Life force energy in the body, mind, and spirit or soul. Although not yet clearly defined by science, it is Love and Light energy that contains the information needed to create, maintain, and sustain Life. The Institute of Heartmath is a leader in the research and application of healing energies when the human heart is brought into coherence (using simple techniques) resulting in relief of stress, increased performance, and physical, mental and emotional health and well being. 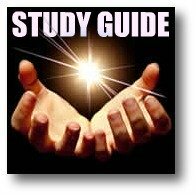 Energy healing can also be achieved with "spiritual nutrition" - consuming foods that are alive and emit light photons that have been shown to create healthy cell function. Applying sacred geometry and feng shui to our homes, offices, gardens and cities has also been proven to improve the flow of life energy and increase happiness and well being. Quantum healing through quantum touch is another example or mode of energy healing. Practicing meditation techniques is another proven method. All of these techniques focus on accessing the life giving vibration or frequency of Love from the Heart. To access the zero point in your Heart, connect to Source, and receive healing energy and love, you can start learning how to create a Mind with Heart now. Energy healing comes in many forms. If you would like to share your personal knowledge and experiences, please leave a comment at the bottom of this page. Thank you! OR, Go Back To: THE MIND BODY CONNECTION to learn more. Spiritual nutrition explores the qualities of food beyond vitamins, minerals, fats, carbs and proteins. Foods can nourish the human body, mind, and spirit. ~~ Meditation Techniques and Tips: Go deeper faster, get results! Another benefit of meditation is the coherent heart field. The heart generates an electromagnetic field that surrounds and penetrates the body. Scientists have begun to discover that this field contains information, or signals, that communicate to the brain and all the other organs and cells of the body, telling them what to do and how to behave. A coherent electromagnetic field from the heart sends signals to the cells and organs that create a healthy biological system. ~~ Sacred Geomety: The Language of Creation. Sacred Geometry is a visual representation of the patterns used by the mind to create the physical universe, including nature and man. ~~ Quantum Touch: Energy Healing for the Body, Mind, and Soul. Quantum Touch is powerful because it recognizes that the energies required for achieving and maintaining health extend far beyond what we perceive as the physical body. The Quantum Touch method begins with a meditative process that connects the electromagnetic field of the Heart, with the electromagnetic field of the Earth. ~~ Healing Messages from A Mind With Heart. A mind with heart, directed by spirit, can deliver powerful healing messages in the form of words and images that inspire, empower, and open the gateway of the Heart. ~~ A Daily Prayer For Peace of Mind. Watch more videos on energy healing at A Mind With Heart Channel on Youtube. The official Youtube channel of Metaphysics for Life! Back To: THE MIND BODY CONNECTION .